January 2019 was a total failure in terms of economic and social performance for Ukraine, OPPOSITION PLATFORM — FOR LIFE MP Serhiy Lovochkin stated. The politician says 2019 will be a disastrous year for the country if the government’s political and economic agenda remains unchanged. “The results of the first month of 2019 are a total failure in terms of economic and social performance. The income plan for the state budget’s general fund has been completed by only 81 percent of the monthly plan. In January, it fell short by 10.3 billion hryvnia. Even compared to January of last year, the income dropped by 5.3 billion hryvnia. This resulted from negligence in the industrial production, which has been decreasing in most sectors. If current political and economic agenda of the government remains unchanged, 2019 will be a disaster for the country,” Lovochkin stated. The politician said industrial production decreased by 2.9 percent in January 2019 compared to January 2018. The durable consumer goods production dropped by 12.3 percent, the chemical industry decreased by 14.9 percent, and electric equipment production slid by 56 percent. Lovochkin said the same trends are observed in most of Ukraine’s industry sectors. The industrial production in total decreased in 16 out of 25 regions of the country (including by 17.4 percent in the Chernihiv region, by 15.5 percent in the Khmelnytskyi region, and by 13.0 percent in the Luhansk region). The housing development sector also showed significant drop in volumes (minus 17.8 percent), as well as did subsectors of the transportation industry. The freight turnover decreased by 20.9 percent for waterborne transportation and by 7 percent for railway transportation; cargo traffic dropped by 21.5 percent and 7.9 percent respectively. “The economic failure automatically means social failure. The state budget’s general fund expenses were underfinanced by 8.8 billion hryvnia during the first month of 2019, i.e. the plan was fulfilled by only 87.5 percent. This includes underfinancing of economic activities by 1.1 billion hryvnia, healthcare sector by 400 million hryvnia, and education sector by 600 million hryvnia,” the politician stressed. 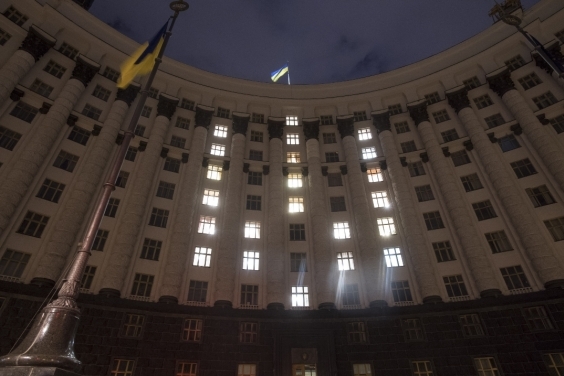 The MP said that the population’s debt for utility services increased by another 7 billion hryvnia over January 2019, having reached 62.6 billion hryvnia. Over the three months of November, December 2018 and January 2019, the population’s debt rose by over 55 percent, or 22.7 billion hryvnia. “The current government’s agenda has run out of steam in all directions. Ukraine needs new government that will be able to bring peace to the country and be responsible towards the economy,” Lovochkin summed up.